« I am who I am according to the ecology around me. I feel there is a million me inside me and with every other encounter there is a new me born. List of things you love. I love Nagaland, axone & anushi, kolar beans from Tuensang, and freshly brewed Kachari rice beer on a hot day. I love my Yamaha P105. I love cycling. 2014 Forest Hills Drive by J. Cole. Parade by Polar Lights. Mari by Easterine Kire. My Training Years 1936-49: An Autobiography by I. Ben Wati. The Cat Returns by Hiroyuki Morita. Dzukou Valley. A cat by the hearth. 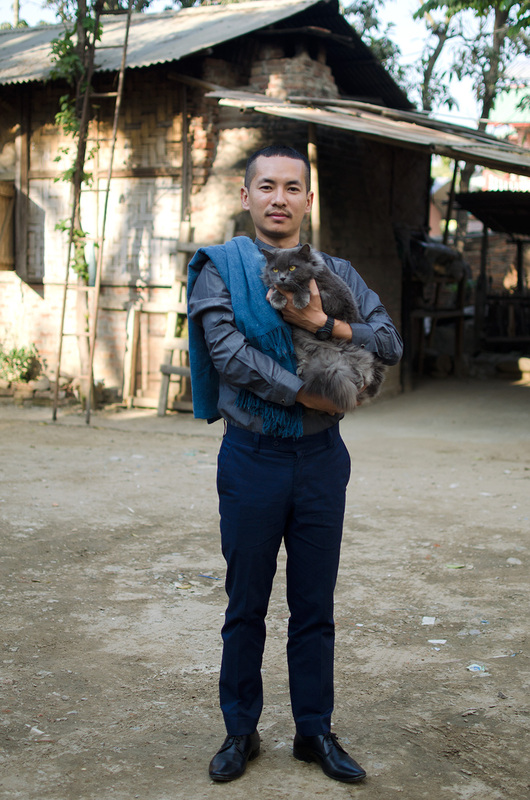 Photographed at a wedding in Dimapur, January 2016. This entry was posted on August 6, 2017 at 17:10 and is filed under India. You can follow any responses to this entry through the RSS 2.0 feed. You can leave a response, or trackback from your own site.